The biggest news since…ever! Golden Tickets + cookie customers = big wins! 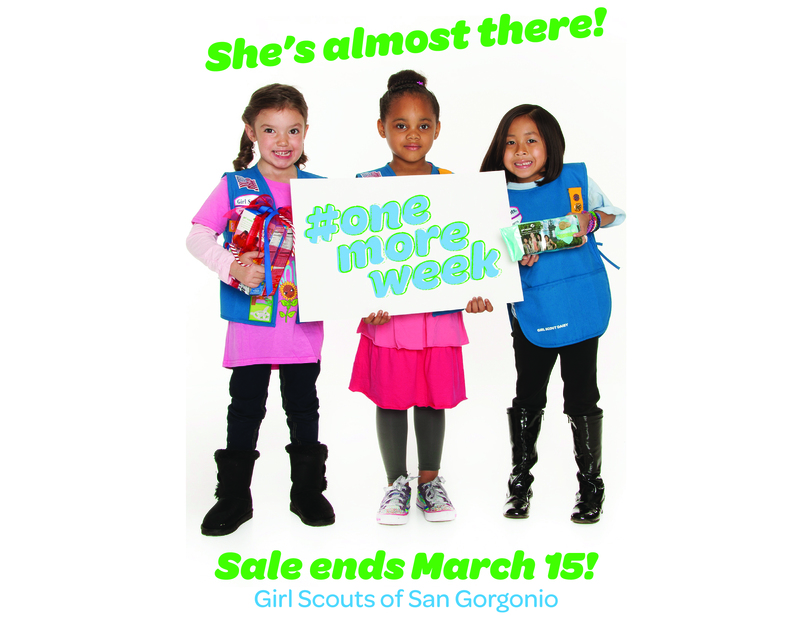 Did you know our Girl Scout Cookie sale has been extended #OneMoreWeek ??? Yep, that’s right! That’s one more week to stock up on all your favorite Girl Scout cookies, even the gluten-free Trios before they disappear for the rest of the year! Not only that, there’s even bigger news — to celebrate #OneMoreWeek GSSGC is offering cookie-loving customers the chance to win seriously BIG prizes via our Golden Ticket scratchers! 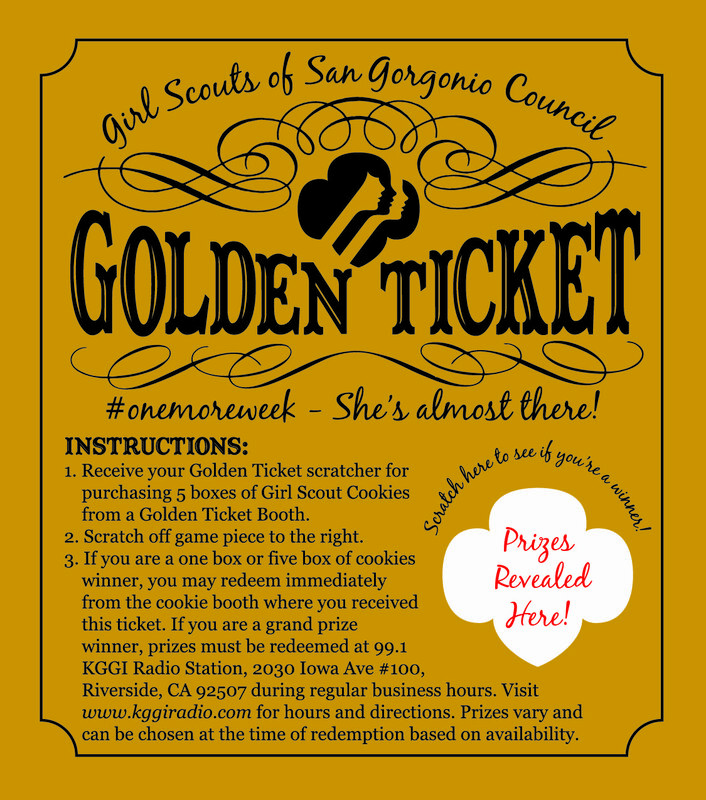 One more week to help your local Inland Empire Girl Scout reach her goals! Buy 5 boxes of cookies from your local cookie booth NOW thru SUNDAY and receive your Golden Ticket scratcher to see if you have won an awesome prize! Prizes include Taylor Swift tickets, Google Chromebook, $100 for sushi, Family 4 Pack to Knott’s Berry Farm, Family 4 Pack to the Trampoline Park, and Imagine Dragon tickets – YEEEEES! Use this handy booth locator to find your cookies now – and may the odds be ever in your flavor! Cookie sale ends March 18, 2015. Next Next post: Save The Date – Girl Scout Leader Appreciation Day!